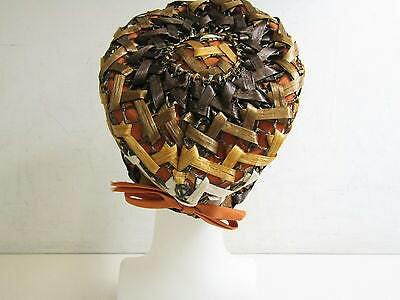 Think fun in the sun with this pretty vintage woven hat by Dana Original! 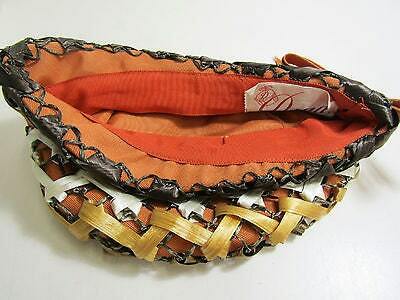 The interior diameter is 8 inches. 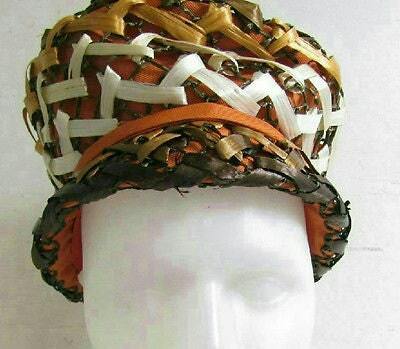 Rust colored polyester fabric base with a woven raffia cover in brown and beige tones. 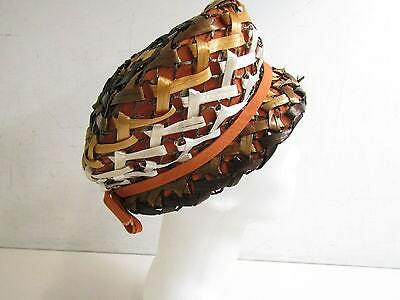 Matching rust band around the hat above the brim which closes with a nice bow in the back as shown. Really wonderful condition with no stains,tears or rips. The hat was previously stored folded which has put a crease in the material in the front but it is being worked out with better storage now. 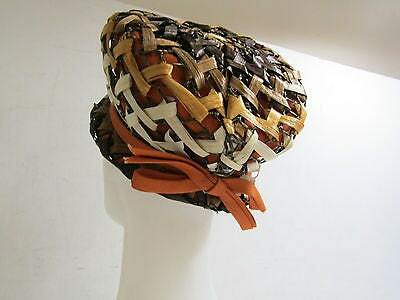 Super pretty and unusual vintage hat!